Hello Dramatics! I am back again with another DramaFever Drama Club review for the Korean Drama Strongest Deliveryman! If you want to know what June, Logan, Tiara and I thought about the latest episodes, click here: Episodes 1 & 2 Don’t forget to check out Episodes 1 & 2 Don’t forget to check out my You Tube Channel for updates and reviews. Let me know what you think of this drama! Leave a comment below and lets chat! Until next time Dramatics, remember to Keep Calm And Drama On! Hello Dramatics! Your favorite Drama Queen is back with another exciting drama preview! Lost Love In Times-(醉玲珑) is a Fantasy/Historical/Romance Chinese drama about a woman who makes an ultimate sacrifice for love. This drama premiered on DramaFever on July 24th 2017. The romantic drama series stars Cecilia Liu and popular singer-actor William Chan. Feng Qingchen (Cecilia Liu) is a sorceress from the powerful sorcerer tribe that has pledged to protect the royal family of the Western Wei kingdom. Yuan Ling (William Chan) is the king’s son and fourth prince. Yuan Zhan (Xu Haiqiao), the seventh prince, is Yuan Ling’s biggest competitor in both power and love. After meeting each other in an accidental encounter, Qingchen and Yuan Ling fall in love. When Yuan Ling ascends to the throne, he is determined to marry Qingchen, but the court is vehemently against their union because of the traditional accord that forbids marriages between the royal family and the sorcerer tribe. It is also believed that such a marriage will lead to turbulence in the kingdom. Yuan Zhan launches a coup on the day of the wedding ceremony, and Qingchen uses her magical powers to reset the universe in an effort to prevent further bloodshed. But, in the alternate universe, people and things change greatly to an unrecognizable state. Qingchen meets a new Yuan Ling who has forgotten her, and she can only suppress her feelings to secretly protect the prince. Are the lovers fated to be star-crossed forever? Love Lost in Times is adapted from Shi Siye’s novel, Drunk Linglong. The production team include producer Tang Lijun, director Lin Yufen, scriptwriter Rao Jun, style director William Chang, costume designer Fang Sizhe, artistic director Chen Haozhi, and stunt coordinator Cao Hua. Production began on October 24 October 2016 and wrapped up on March 20, 2017. The 54-episode series started airing two episodes back-to-back on Dragon TV every Thursday and Friday, on July 13, 2017. The cast is lead by Cecilia Liu as Feng Qingchen / William Chang as Yuan Ling / Xu Haiqiao as Yuan Chan / Han Xue as Head Sorceress Tao Yao / Han Dong as Xi Xie, Head Sorcerer / Huang Mengying as Princess Duo Xia of Achai tribe. The extended cast includes Liu Yijun as King Wei An / Zeng Li as Yuan Ling’s mother, Royal Consort Lian / Li Chengyuan as Yuan Chan’s wife, Consort Jin / Zheng Yecheng as Protector of the Ling Long Order / Gao Yiqing as Crown Prince Yuan Hao / Gong Jun as Yuan Che (11th prince), Zhang He (aka Ryan Zhang) as Yuan Ming (9th prince) / Xu Jiawei as Yuan Li (12th prince) / Tang Jingmei as dark sorcerer Wu Biting / Liu Yinglun as Feng Luanfei, Qingchen’s younger sister / Ma Chunrui as Ming Mo, Qingchen’s close friend / Mao Fangyuan as Xiao Xu, Prince of Southern Liang / Su Hang as Zhang Shu, Western Wei army commander / Xu Jian as Mu Kesha, Tugu army’s great general. As you can see be the beautiful pictures and the action packed trailer, this drama is going to be a fan favorite. Lost Love In Times is 54 Episodes long and each episode is about 45 minutes long. 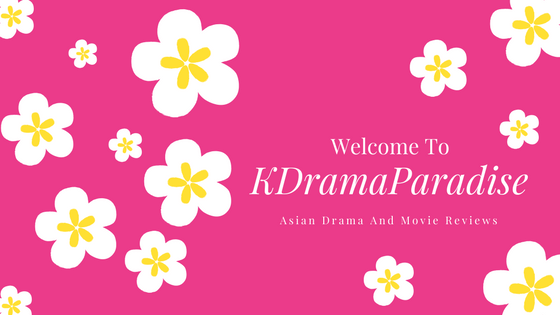 I am happy to announce that I will be reviewing this drama for the DramaFever Drama Club so make sure you follow me here and on my You Tube Channel KDramaParadise for updates! Will you be watching this drama? Leave a comment below and let me know. Remember To Keep Calm And Drama On! Happy Drama Watching Everyone! Hello Dramatics! I am back again with another DramaFever Drama Club review for the Korean Drama Love In Trouble (Suspicious Partner)! If you want to know what OhSoEnthusiastic, Marakeshsparrow and I thought about the latest episodes, click here: Episodes 37-40 Don’t forget to check out our review for Episodes 1-4 , Episodes 5-8, Episodes 9-12 Episodes 13-16 Episodes 17-20 Episodes 21-24 Episodes 25-28 Episodes 29-32 and Episodes 33-36Don’t forget to check out my You Tube Channel for updates and reviews. Let me know what you think of this drama! Leave a comment below and lets chat! Until next time Dramatics, remember to Keep Calm And Drama On! Hello Dramatics! I am back again with another DramaFever Drama Club review for the Korean Drama Love In Trouble (Suspicious Partner)! If you want to know what OhSoEnthusiastic, Marakeshsparrow and I thought about the latest episodes, click here: Episodes 33-36 Don’t forget to check out our review for Episodes 1-4 , Episodes 5-8, Episodes 9-12 Episodes 13-16 Episodes 17-20 Episodes 21-24 Episodes 25-28 and Episodes 29-32 Don’t forget to check out my You Tube Channel for updates and reviews. Let me know what you think of this drama! Leave a comment below and lets chat! Until next time Dramatics, remember to Keep Calm And Drama On! Hello Dramatics! I am back again with another DramaFever Drama Club review for the Korean Drama Love In Trouble (Suspicious Partner)! If you want to know what OhSoEnthusiastic, Marakeshsparrow and I thought about the latest episodes, click here: Episodes 21-24 Don’t forget to check out our review for Episodes 1-4 , Episodes 5-8, Episodes 9-12 Episodes 13-16 and Episodes 17-20 Don’t forget to check out my You Tube Channel for updates and reviews. Let me know what you think of this drama! Leave a comment below and lets chat! Until next time Dramatics, remember to Keep Calm And Drama On! Hello Dramatics! I am back again with another DramaFever Drama Club review for the Korean Drama Love In Trouble (Suspicious Partner)! If you want to know what OhSoEnthusiastic, Marakeshsparrow and I thought about the latest episodes, click here: Episodes 17-20 Don’t forget to check out our review for Episodes 1-4 , Episodes 5-8, Episodes 9-12 and Episodes 13-16 Don’t forget to check out my You Tube Channel for updates and rev iews. Let me know what you think of this drama! Leave a comment below and lets chat! Until next time Dramatics, remember to Keep Calm And Drama On! Hello Dramatics! I am back again with another DramaFever Drama Club review for the Korean Drama Love In Trouble (Suspicious Partner)! If you want to know what OhSoEnthusiastic, Marakeshsparrow and I thought about the latest episodes, click here: Episodes 13-16 Don’t forget to check out our review for Episodes 1-4 , Episodes 5-8 and Episodes 9-12 Don’t forget to check out my You Tube Channel for updates and reviews. Let me know what you think of this drama! Leave a comment below and lets chat! Until next time Dramatics, remember to Keep Calm And Drama On!